Chief Muraina Oyelami began his career in arts in 1964 as one of the original members and the first generation of the famous Osogbo Art School initiated by Professor Ulli Beier and his wife Mrs Georgina Beier. 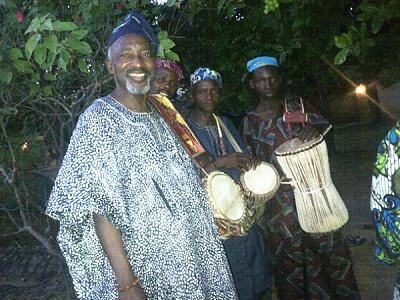 He was also a founding member of the late Duro Ladipo Theatre Company as an actor and musician. He toured with the group to Berlin Festival of Art (Berliner Festwochen) in 1964 and the first Commonwealth Arts Festival in Britain in 1965. Artist in Residence and Fellow of The National Black Theatre in Harlem, New York in 1973, Chief Oyelami did Technical Theatre course at Obafemi Awolowo University, Ile-Ife (then University of Ife) with specialization in Theatre-Design where he also taught traditional music between 1975 and 1987. While on a study leave from Ife, Chief Muraina Oyelami was a guest Professor in African Studies at the University of Bayreuth's IWALEWA-HAUS, Germany during the winter semester of 1981/82. A man of two worlds, he is known by many as a master visual artist while others know him as a great performing artist. Described as a poetic painter with romantic approach, his works grow out of specific experiences (portraits, stories, folktales, landscapes and recent happenings). Chief Oyelami has exhibited his works and performed traditional and fusion music throughout Europe, Asia, Africa Australia and the United States. 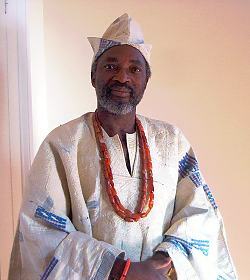 His varied and enormous list of credits include: composer and musical director for Professor Wole Soyinka's "Death and the king's Horseman" at the Royal Exchange Theatre in Manchester, England in 1992; Guest of the Chopin Academy of Music in Warsaw, Poland, International Tutor at Summer School organized by Black Dance Development Trust of England (based in Birmingham) in 1990 and 1991, numerous artist in residencies and exhibitions in Germany, recordings of fusion music with contemporary jazz combos. Chief Oyelami has written books on Bata and Dundun (talking) drums and on Yoruba culture. 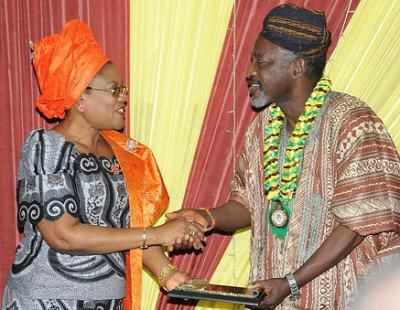 Among his numerous collectors are Otis Arts Institute, Los Angeles (USA), Justice Dabiri, Chief Bola Ige (former Governor of Oyo State and Senior Advocate of Nigeria), Professor Adewoye', Dr. Yomi Durotoye, Nigeria State House in Lagos, Professor Ulli Beier, Museum of African Arts in Washington, DC (USA) and Transcription Centre in London. He executed mosaic murals on Link Bridge of Faculty of Health Sciences, Obafemi Awolowo University (O.A.U.) Ile-Ife in 1975 and on Wema Bank Plc. (Iragbiji Branch) in 1983. On February 14th, 1993, he was installed as Eesa of Iragbiji.